Cupcakes and othe sweet treats will still be permitted for student birthdays, but the Unionville-Chads Ford School District's new Wellness Policy will restrict spontaneous dropoff of food, limit the sale of snacks in school to healthier items and encourage better nutrition and more physical activity in students. EAST MARLBOROUGH — The cupcakes have been saved. But the drive-by doughnuts look to be history. The Unionville-Chadds Ford Board of Education is poised Monday to formally adopt a revised Wellness Policy — after more than a year of debate, some very heated, about the role of food and snacks in the classroom. While some healthy foods advocates argued for a ban of cookies, cupcakes and the like from schools, another group of parents fought for the right continue sending sweet treats into school for birthdays and other special events. Board member and Policy Committee chair Kathleen Do praised district Food Service Supervisor Marie Wickersham last Monday night during the board’s work session for managing to find a sensible middle ground in a process that initially was heated on both sides. “We had some fairly robust discussions,” she said. And while sending in cupcakes or cookies for students birthdays — long a tradition in the district’s elementary schools — is permitted, with notice to teachers, the spontaneous drop off of snacks will no longer be permitted. And the new policy doesn’t exactly encourage the birthday treats as much as it tolerates them. Concerns about disruption of teacher lesson plans as well as worries about student allergies led to the ban on drive-by snacks, Do said. In the past, parents have dropped off doughnuts, ice pops and other items wanting to brighten the day of students — but they may not have understood the impact of those drop offs, she said. Another change: no more items will be sold in school cafeterias with the first ingredient listed as sugar. Snack items sold will be limited to less than 30% fat and less than 250 calories, Do said. The policy also calls for more nutritional education of students and well as seeking opportunities for more physical activity during the school day. While students in grades 1-5 get recess, older students “will be encouraged to participate in physical activity opportunities that are available during the school day,” the policy states. Do said that more detailed administrative guidelines will posted on the district’s Website once the new policy is in force. I’m happy that the school district has taken a serious look at Policy and Kathy Do and Marie Wickersham deserve a lot of credit for excellent work with many divergent opinions. 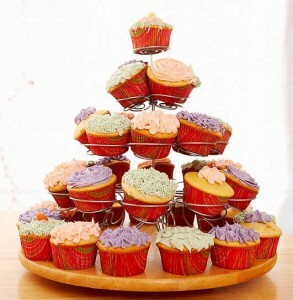 Cupcakes and carrots have both been successfully addressed as well as the fitness aspects of wellness. Kudos to Kathy and Marie.